Rev. 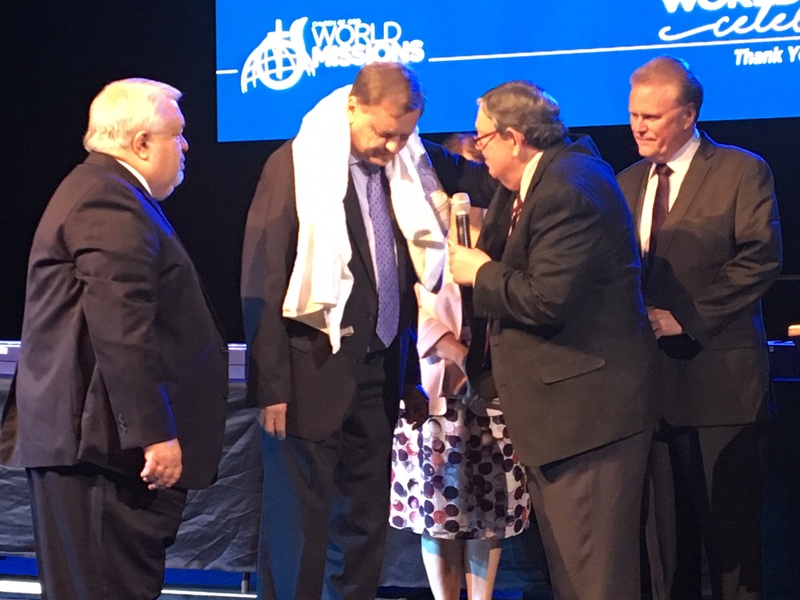 Peter Thomas, field director for the Church of God in Africa, was inducted into the ‘Order of the Towel’ during the World Missions banquet held July 30, 2018 at the recent International General Assembly in Orlando, Fla. In the decade in which Peter Thomas has served as the Church of God field director for much of Africa, 43 nations have felt the temperate passion of a man who has given himself to a continent. For more than two decades, he served as the education director, forging relationships, pressing the character of the church deeper, creating a continent-wide network committed to the complete evangelization of African peoples, and establishing a self-sustaining movement. In Africa’s leadership conferences, Peter Thomas can often be seen sitting quietly on the sidelines. He leads by serving. He directs by sharing authority and influence. He guides with affirmation and, when necessary, clear, dispassionate principled engagement. Where Islam has been pushing south, with an agenda of making all of Africa Muslim, the Firewall Project has been established, not as a defensive mechanism, but as a good-news evangelism and church-planting initiative. In four short years, 3,837 churches planted have been in the 10/40 window/Sahel zone. These are Muslim-dominated territories where there was only one struggling church or there were diaspora churches that spoke a foreign tongue and were not culturally, effectively evangelizing the indigenous locals. In Niger, there was one church. Now there are 27 new churches planted through the Firewall initiative—all indigenous, evangelizing congregations. 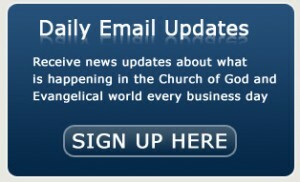 In Chad, 197 churches have been planted, one a week, through the Firewall initiative. All are indigenous. Togo—struggling with 13 churches, and a national bent toward animism, ancestor worship, and voodoo—has seen 127 new churches planted. Some of the previous recipients of the Order of the Towel Award have been Dr. Robert Fisher; Dr. Horace Ward; Missionary Margaret Gaines; Former Attorney General, John Ashcroft; and Times Square pastor, Carter Conlon.